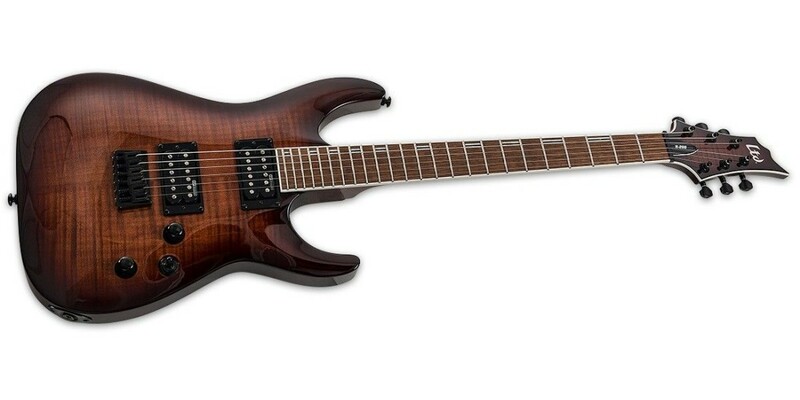 The H-200FM is an excellent guitar for anyone who requires high quality and playability on a budget. 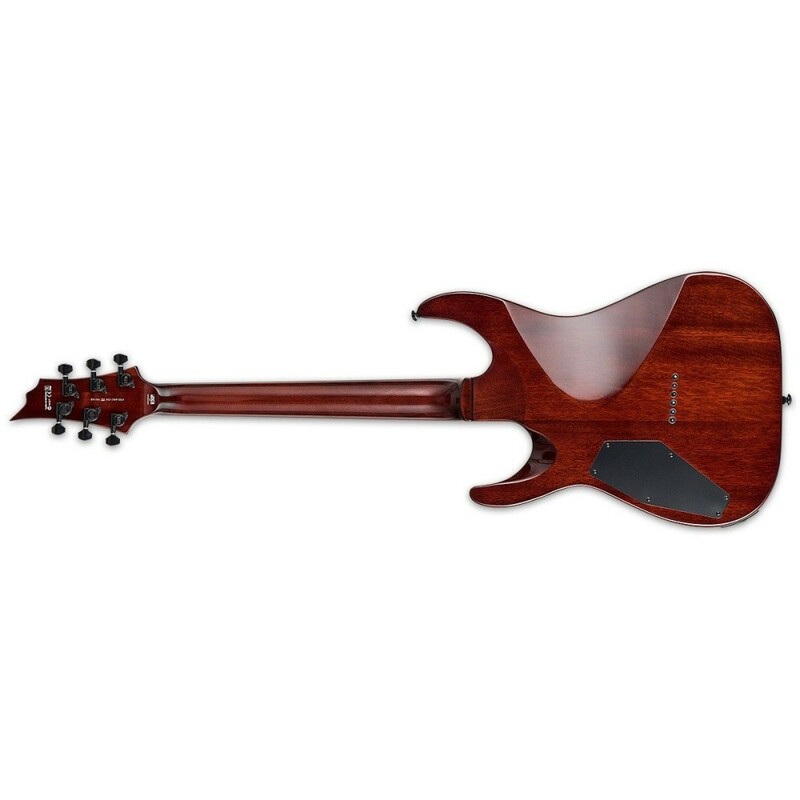 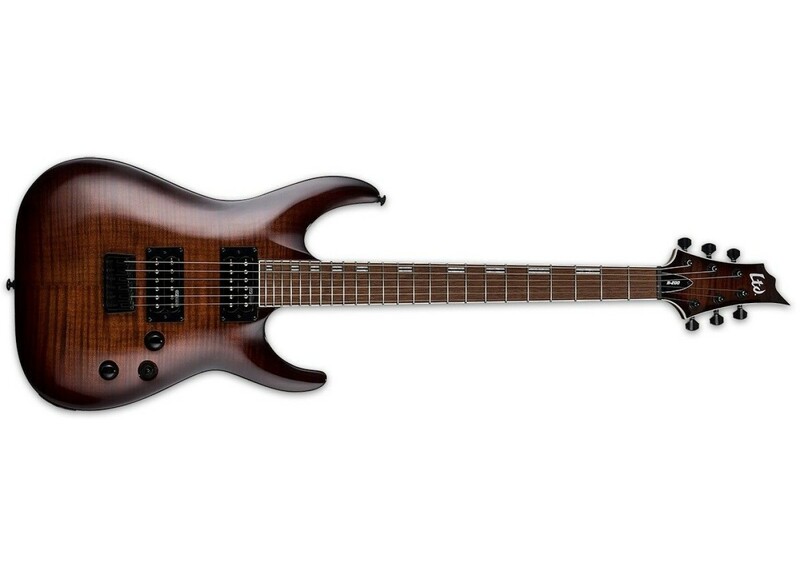 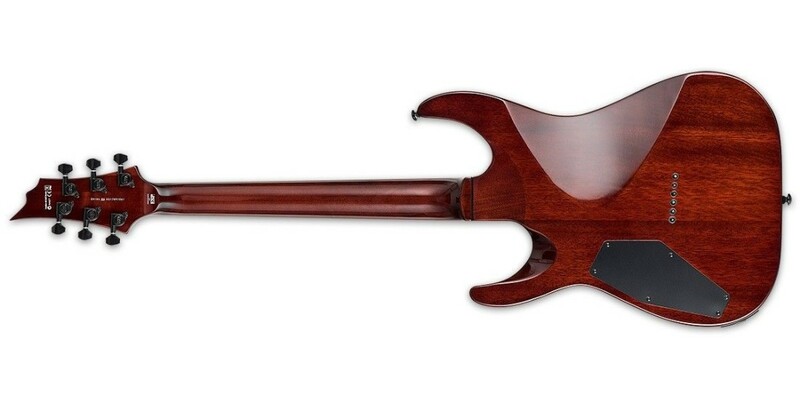 Offering a flamed maple top in your choice of See Thru Red and Dark Brown Sunburst finishes, the H-200FM has set-neck construction for a nice and rounded tone. 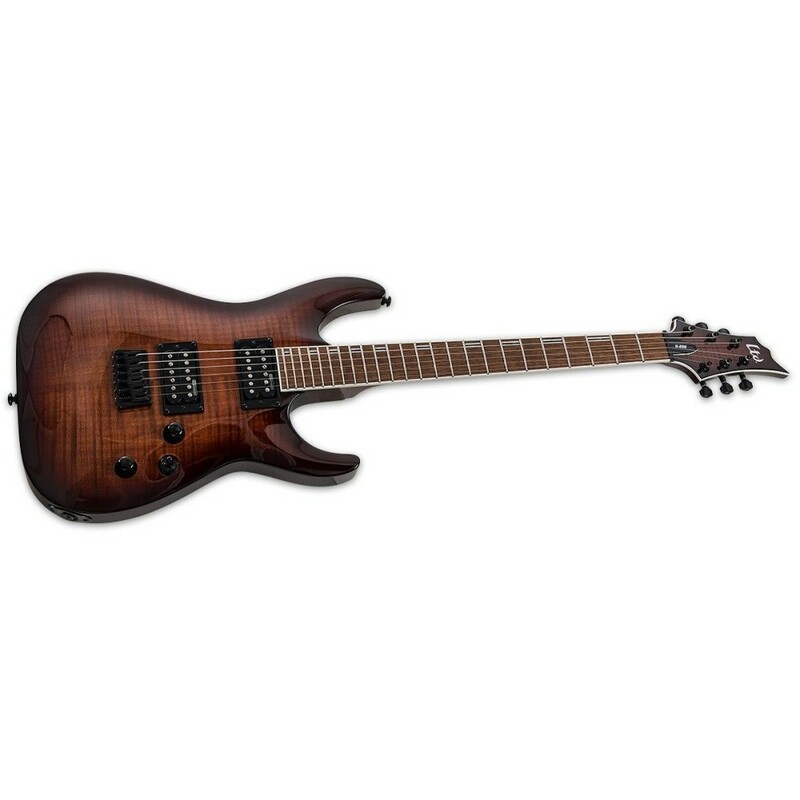 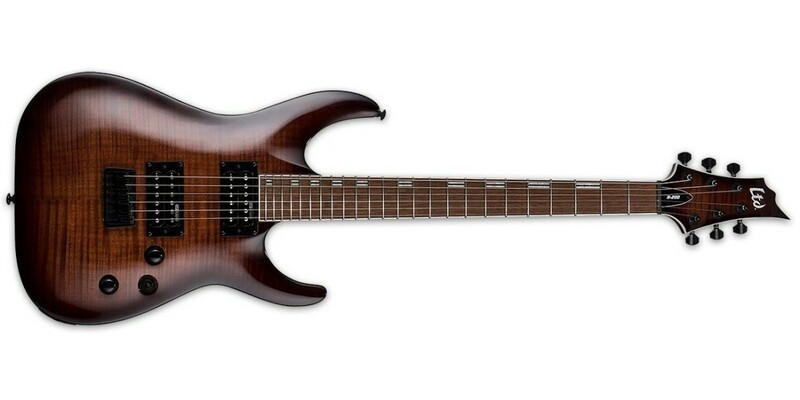 Its sound is powered by a pair of ESP Design humbucking pickups, and offers a hardtail bridge, mahogany body, three-piece maple neck, and roasted jatoba fingerboard with 24 extra-jumbo frets.